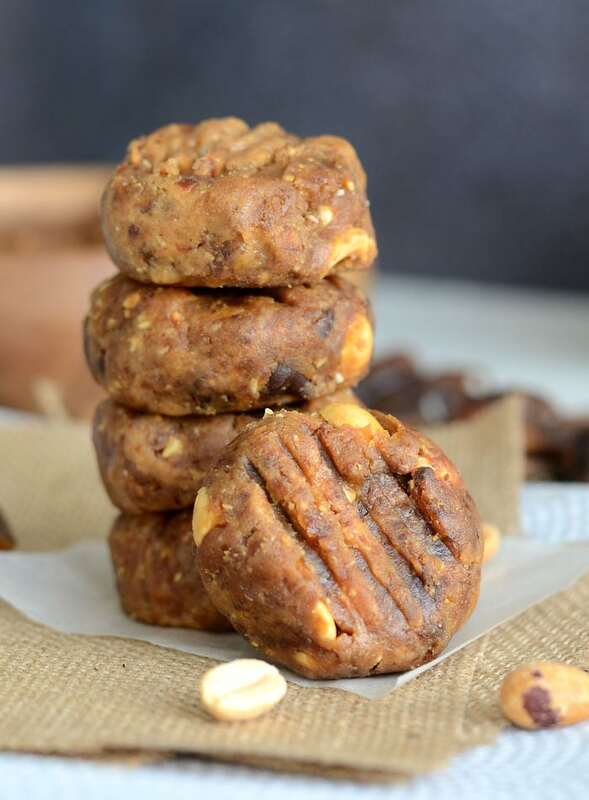 These Raw Peanut Butter Chocolate Chip Cookies are completely vegan, don’t require any baking and take just a few ingredients and a few minutes to make. 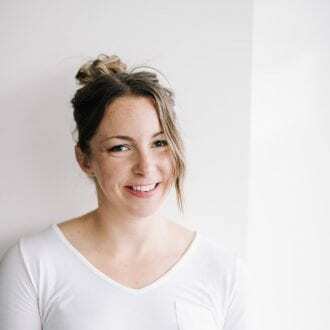 Give these delicious and addictive treats a try to satisfy your sweet tooth without going overboard on added sugar and fat. 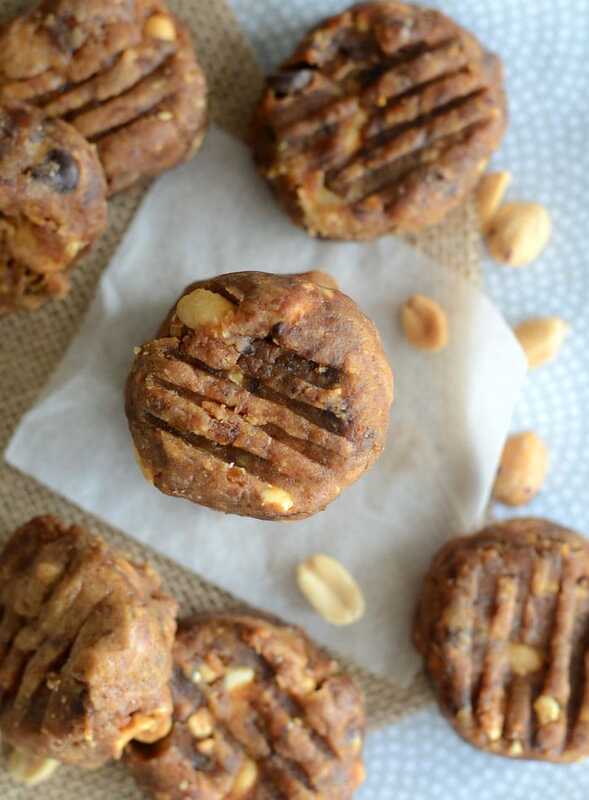 These raw peanut butter chocolate chip cookies are basically just raw cookie dough, pressed into cookie shapes, sans the eggs, sugar and flour. The only ingredients you’re looking at here are dates, peanut butter, peanuts, chocolate chips, maple syrup and optional sea salt and vanilla. So, while digging into traditional raw cookie dough isn’t a great idea, you can go ahead and eat this dough by the spoonful. No raw eggs involved! You could even just stuff the whole batch into a container and scoop it out by the spoonful when you need a treat, or you can roll it into bite-sized balls or press them into cookies. First of all, make sure you use a drippy, natural peanut butter. The only ingredients listed on your peanut butter should be peanuts and maybe salt. Processed peanut butter will not produce the same result and will add sugar and hydrogenated oils to the recipe. I used Enjoy Life Chocolate Chips in my cookies. They’re dairy-free, gluten-free and soy-free so make a great choice for those with allergies or dietary preferences. I love all their products and highly recommend giving them a try. Their chocolate chunks and mini chocolate chip would also work great in this recipe. You can also use chopped dark chocolate. As for the dates, you’ll want to use dates that are fresh and soft. 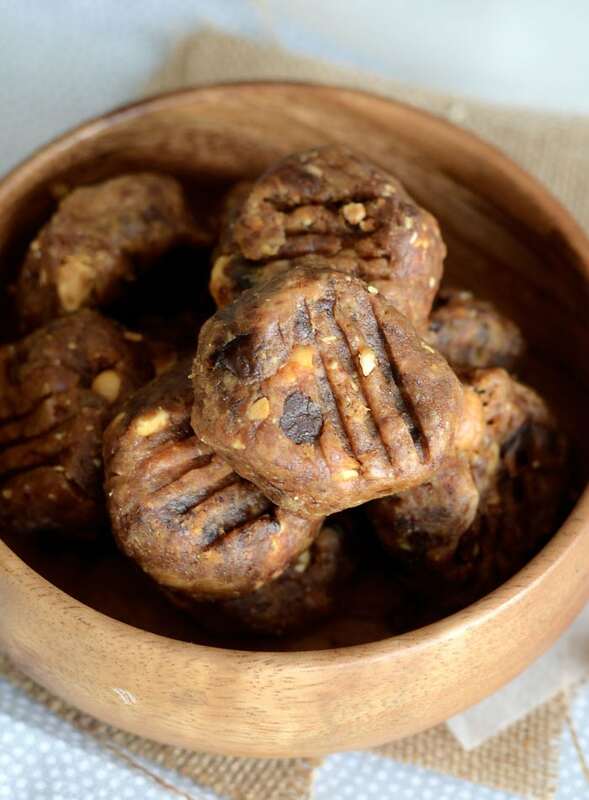 I like medjool dates the best for their caramel flavour and soft texture. Neglect dates are also a good choice. You can use any kind of date as long as they’re moist and not dried out. If your dates are very dry, you can try soaking them in hot water for 15 minutes and drain before using. I highly recommend using a kitchen scale for measuring out ingredients. The accuracy of volume measurements can vary greatly so for best results use a scale and follow the weights I’ve provided. You can get a kitchen scale for under $20 on Amazon and it’s well worth having one in your kitchen. If you like to bake, using a scale to measure ingredients can help make sure recipes are successful and you’re not wasting ingredients on failed creations. It’s not totally necessary to weight everything of course but I always use one for accuracy, I always use one when making recipes like this. You can make this recipe your own by substituting the peanut butter with sunflower seed butter, almond butter, cashew butter or even tahini. From there you can switch up the add-ins and toss in whatever you feel like! Chopped nuts, coconut, cranberries, raisins or chopped dark chocolate are all awesome choices. Once you make the base of dates, nut butter, vanilla, sea salt and maple syrup you can add in whatever you like! I added 1/4 cup each of peanuts and chocolate chips but if you prefer, you can use 1/2 cup of chocolate chips or 1/2 cup of your choice of additions, or even leave out the add-ins all together. The dough is just delicious even on it’s own. I’d highly recommend adding the pure vanilla extract and sea salt to enhance the cookie dough flavour. 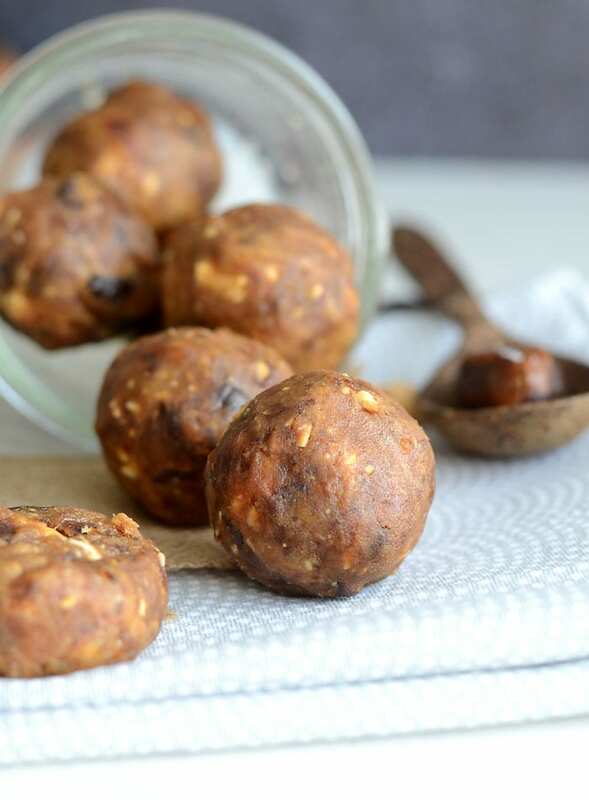 You can eat these anytime of day for a natural energy boost or try them for a pre-workout snack. 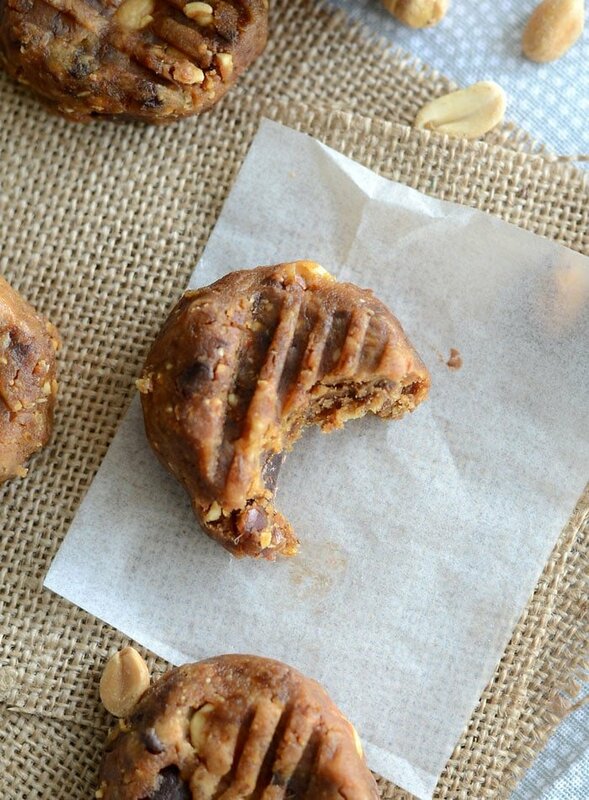 Their packed with energizing natural dates and the fats from the peanut butter help sustain that energy. These are really great for hiking too for a healthy and yummy snack for the trail! 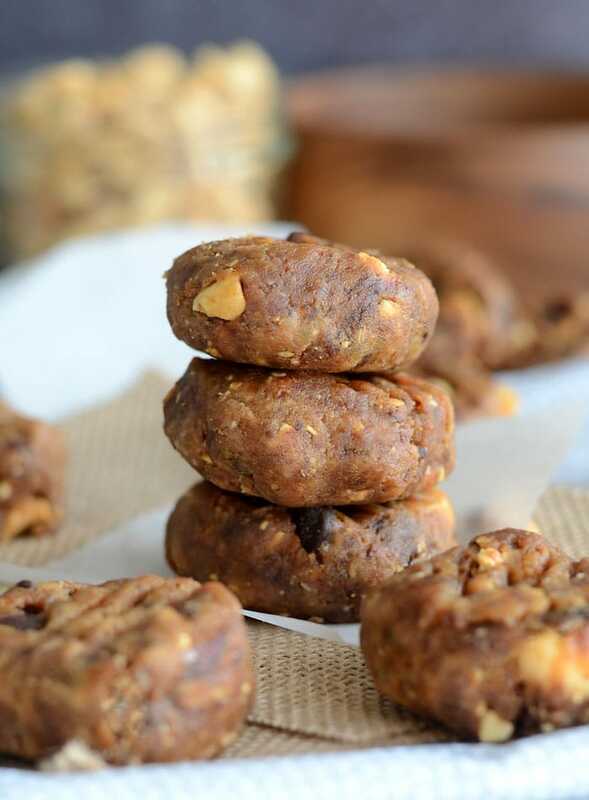 These Raw Peanut Butter Chocolate Chip Cookies are like eating raw cookie dough but better and much healthier! Store the entire batch in a container and eat by the spoonful, roll into balls or press into cookies. 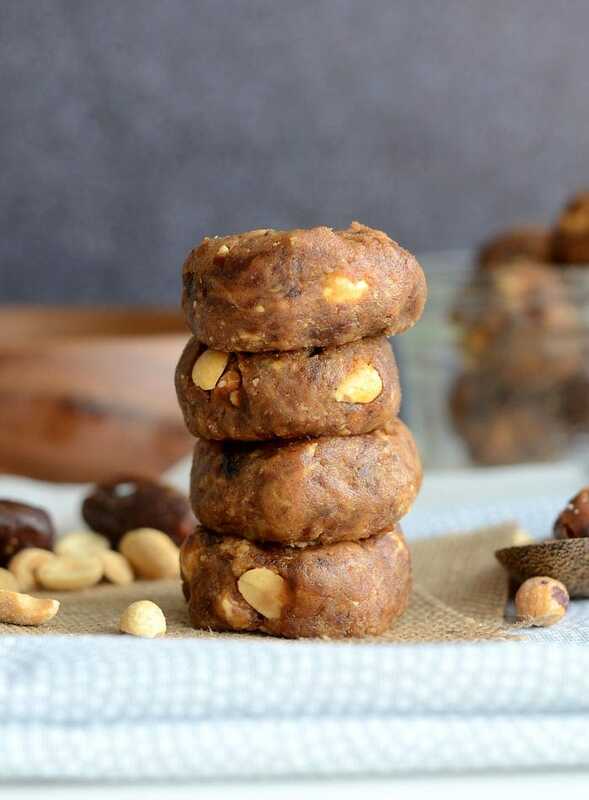 Make them your by using your choice of nut or seed butter and replacing the peanuts and chocolate chips with 1/2 cup of any add-ins you can think of! In a food processor or blender, process the dates until they’re broken down and form a dough. Stop the processor a few times to scrape down the sides. Add the peanut butter, maple syrup, sea salt, vanilla and peanuts to the food processor. Process until well combined. Add the chocolate chips and pulse a few times to combine. Roll the dough into 12 bite-sized balls, flatten with a fork and store in the refrigerator. Especially since I just became an almond butter and date addict, it’s perfect timing! Like you, I’m sometimes extremely concerned about my cooking abilities.. or obvious lack-there-of, haha. The oven and me have never been the best of mates. I always burn the outside, while the inside is still gooey… how I manage, I do not know. It’s funny, I would’ve given anything to do a mile repeat workout today! Thanks so much for the link! And I’m so glad you enjoyed these. It’s been way too long since I made a batch so thanks for the reminder, I’m going to make some this week 🙂 Love the almond butter idea, I might just do that this time. Hi, how big is a cup?